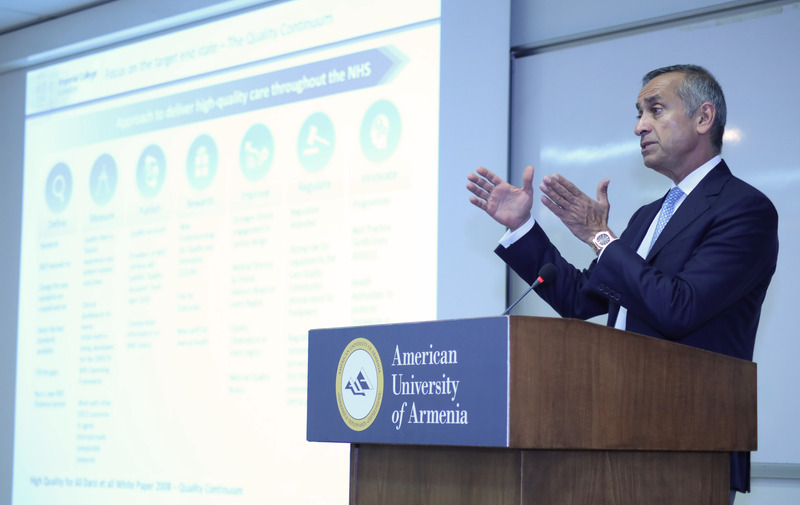 YEREVAN, Armenia – On September 22, 2017, the American University of Armenia (AUA)’s Gerald and Patricia Turpanjian School of Public Health (SPH) organized a public health seminar on “Innovation in Quality and Safety” featuring Professor the Lord Ara Darzi of Denham. 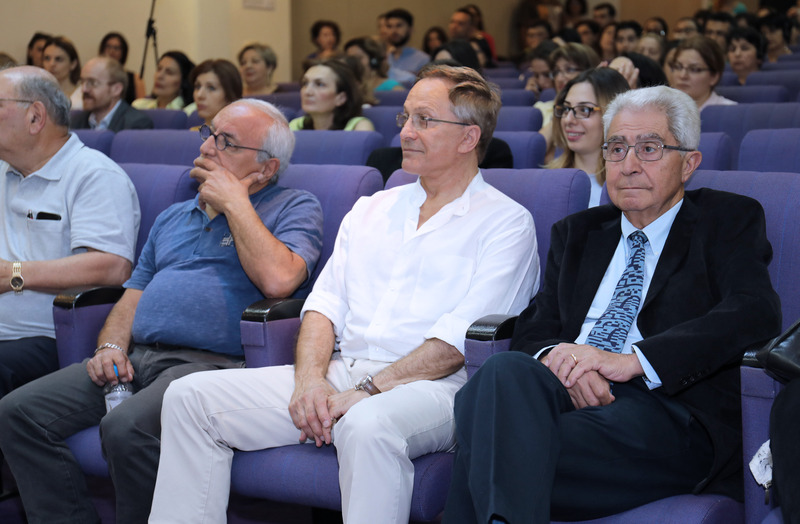 AUA President Armen Der Kiureghian and SPH Dean Varduhi Petrosyan introduced Professor Darzi. 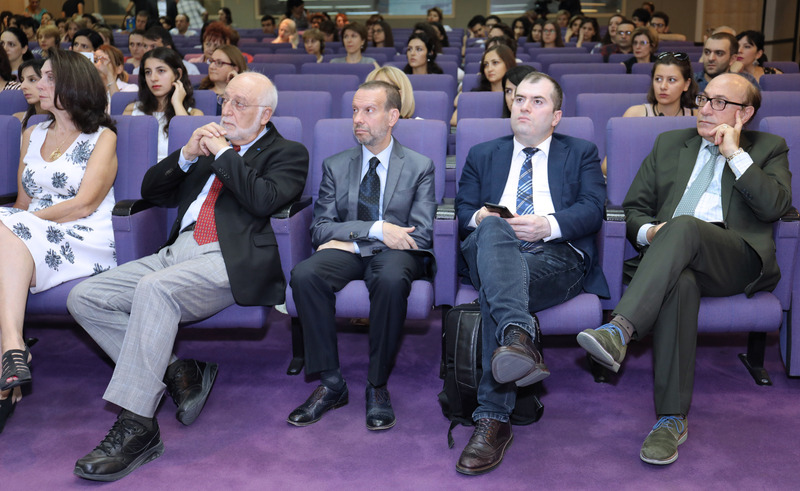 Over 200 health professionals including officials from the Ministry of Health, practitioners in the field of public health, nursing, and medicine, as well as AUA students, faculty, researchers, and members of the broader AUA community attended the public health seminar. 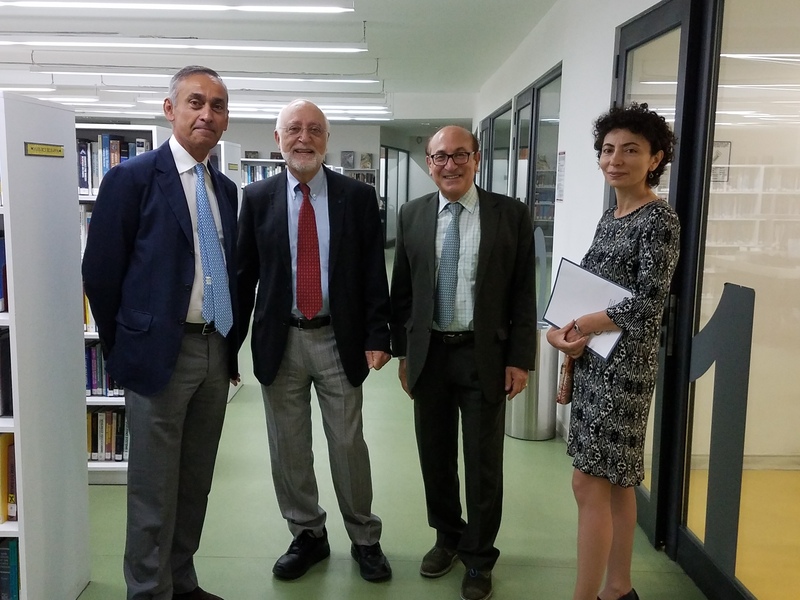 Professor Darzi is the Director of the Institute of Global Health Innovation at Imperial College London. He holds the Paul Hamlyn Chair of Surgery at Imperial College London and the Institute of Cancer Research, and is the Executive Chair of the World Innovation Summit for Health in Qatar. He is a Consultant Surgeon at Imperial College Hospital NHS Trust and the Royal Marsden NHS Trust. 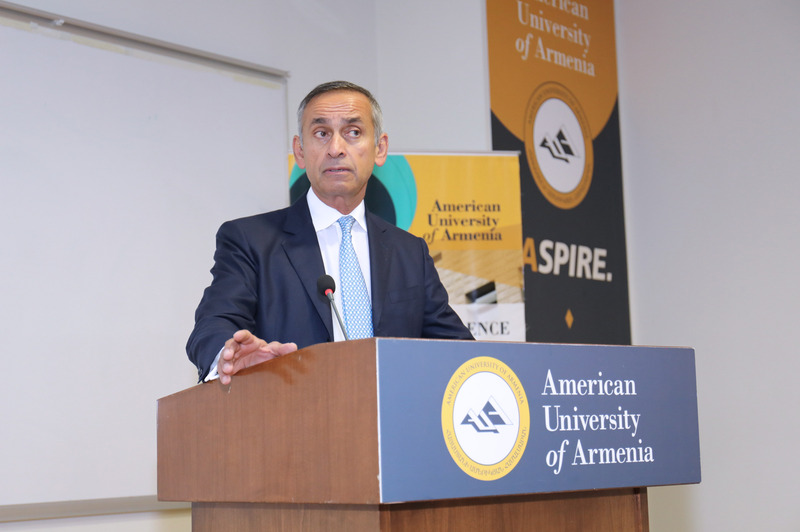 Professor Darzi leads a large multidisciplinary team across a diverse and impactful portfolio of academic and policy research. 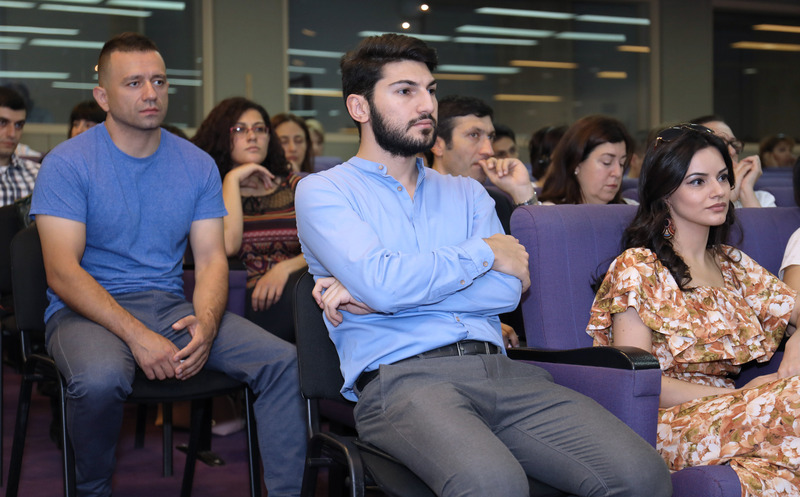 His work drives the identification, development and adoption of innovation across international healthcare systems and champions high quality care. He has published over 1,000 peer-reviewed research papers to-date. He was knighted for his services in medicine and surgery in 2002. In 2007, he was introduced to the United Kingdom’s House of Lords as Professor the Lord Darzi of Denham and appointed Parliamentary Under-Secretary of State at the Department of Health to lead a major review of the NHS, which culminated in the publication of his report, “High Quality Care for All: NHS Next Stage Review,’ in 2008. Upon relinquishing this Ministerial role in 2009, Professor Darzi was appointed by the Prime Minister as the United Kingdom’s Global Ambassador for Health and Life Sciences until March 2013. He currently sits as a Council Member for the UK’s Engineering and Physical Sciences Research Council, is a Non-Executive Director of NHS Improvement, and has been a member of Her Majesty’s Most Honorable Privy Council since June 2009. In January 2016, Professor Darzi was awarded the Order of Merit by Her Majesty the Queen for exceptionally meritorious service towards the advancement of medicine.